An Alaska moose hunter whose case against the federal government made a rare second trip to the U.S. Supreme Court prevailed on Tuesday. The ruling marks a win for Alaskans unhappy with federal “overreach” on some public lands but doesn’t topple rural subsistence rights as some feared it might. 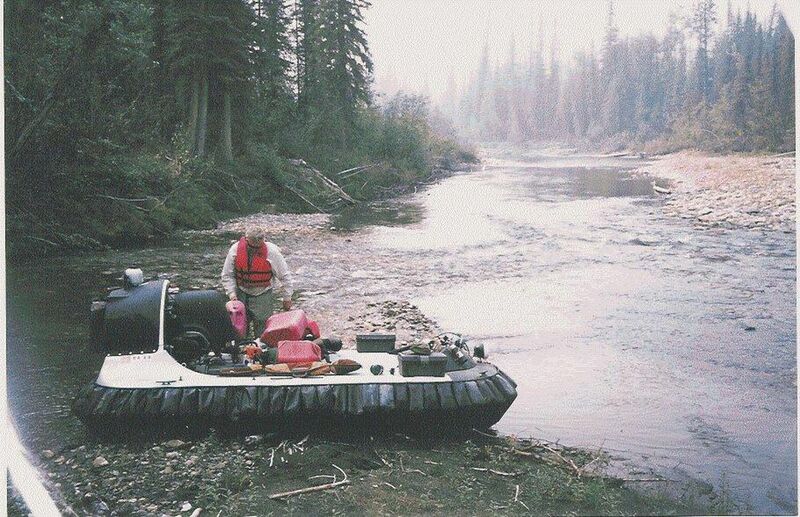 John Sturgeon sued the National Park Service after rangers on the Yukon-Charley Rivers National Preserve in 2007 ordered him off the hovercraft he used for moose-hunting trips through the shallows of the Nation River near the Canadian border. The park service claimed the right to manage navigable waters inside parks and preserves. The state maintained that management of those waters was clearly left to the state, which allows hovercrafts. U.S. Supreme Court justices in this week’s decision ruled unanimously that the Nation River doesn’t qualify as “public land” for the purposes of the Alaska National Interest Lands Conservation Act. The sweeping 1980 law created 10 new national park units following natural boundaries rather than federally owned lands, adding more than 18 million acres of state, Native and private land. Nor does the park service have authority to regulate Sturgeon’s activities on the part of the river that falls within the preserve, according to a ruling authored by Justice Elena Kagan for the court. “That means Sturgeon can again rev up his hovercraft in search of moose,” Kagan wrote. Sturgeon, reached in Anchorage a few hours after the ruling, said he planned to do just that in September. “I’m really happy with the decision,” he said. Sturgeon cheered the restored access to once-secret hunting grounds on the Nation that he’d visited since 1971. But he also expressed gratitude that the Supreme Court ruling upheld the so-called Katie John decisions that underlie Alaska’s federal subsistence fishing rights. Ruth Botstein, the assistant district attorney who successfully argued the case last year on the state’s behalf, was one of numerous at-will employees dismissed by Gov. Mike Dunleavy last fall when he came into office. The ruling is the second time the court had heard the case -- and generally ruled in Sturgeon’s favor. Justices in 2016 ordered the 9th U.S. Circuit Court of Appeals to take another look at the case, particularly the provisions about ANILCA exceptions. The unanimous decision of all eight justices declared the 9th Circuit had taken a “topsy-turvy” approach to the law when it said a National Park Service rule banning hovercraft in the Lower 48 must be applied to Alaska. It ordered the lower court to reconsider the issue in light of ANILCA, which created an “Alaska exception” to many of the normal rules applied to national parks, wilderness areas, refuges and other preserves. Over time, the case grew more complicated since that first visit to the Supreme Court. The lawsuit grew into a potential test of the legal precedents, named for the late Ahtna elder and litigant Katie John, which for two decades have provided the legal underpinning of federal subsistence fishing rights in Alaska. Federal rules give priority to rural subsistence families in times of shortage. The Supreme Court decision this week does not undermine the Katie John precedents, said Heather Kendall-Miller, an Anchorage-based attorney with the Native American Rights Fund who drew up a brief in the case for the Alaska Federation of Natives. “The Katie John cases remain the law of the land,” Kendall-Miller said. AFN released a statement Tuesday congratulating Sturgeon on the ruling and saying the decision was also a victory for subsistence users. Alaska’s congressional delegation in 2015 submitted an amicus brief in support of Sturgeon. The delegation on Tuesday welcomed the Supreme Court decision as upholding “promises made to Alaskans in ANILCA” that the park service doesn’t have expansive rights over state and native lands. “During its inception, Senator Ted Stevens and I worked hard to make ANILCA fair to sportsmen, Native communities, and energy developers," Congressman Don Young wrote in a statement. "Our legislation was intentionally written so that the Alaskan people wouldn’t need to ask the Federal government for permission to use the lands they had been stewards of for generations." Young and Murkowski also praised the ruling for not disturbing the Katie John decision. Members of the state senate majority cheered the decision that the Nation River is state rather than federal land and navigable inside Alaska national parks. The Supreme Court decision includes a concurring opinion from justices Sonia Sotomayor and Ruth Bader Ginsburg recognizing the ruling raises uncertainty about the park service’s authority over navigable waters in Alaska’s parks. “Many of Alaska’s navigable rivers course directly through the heart of protected parks, monuments, and preserves. A decision that leaves the Service with no authority, or only highly constrained authority, over those rivers would undercut Congress’ clear expectations in enacting ANILCA and could have exceedingly damaging consequences,” Sotormayor wrote in the opinion. Sturgeon said the ruling probably doesn’t mean hunters in hovercraft will descend on the Nation, which is so sprawling and shallow that it’s hard to travel without extra support. He put his own now-famous hovercraft into his two-car garage and rebuilt it from scratch with new engine he tested just last Saturday.